The key to every relationship is trust. It doesn’t matter what the context is or what scenarios you swap in and out, the secret to success is trust. And nowhere is this truer than the relationship between employer and employees. If you’ve been at the top of the tree for more than six minutes, then you’ll know that micromanaging doesn’t work and that autonomy is the only way to boost your employees’ happiness, high-spirits and productivity. But how can you give your employees more autonomy if you don’t trust them? It’s the million dollar question. 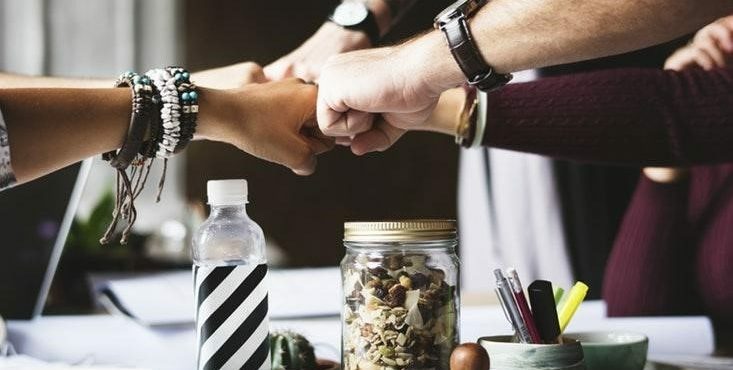 Thankfully, there are certain ways you can build trust in your employees, but they all stem from performance and results, which is a roundabout way of saying: your trust isn’t just handed out, it needs to be earned – and rightly so. So, without further ado, here are some simple things you can do to help your employees earn that trust. Good luck. When you’ve delved into the benefits for autonomy and bought into this concept, it can be very easy to take twelve steps back and give people total, unrestricted freedom. But as with everything in this world, moderation is crucial. Don’t go to the extremes. Instead, it’s a much better idea to give them the freedom they need to produce quality work, but no more than that. To do this effectively, you need to understand one very important distinction: giving your employees the freedom to complete a task in the way that suits them is good; giving them freedom as to which tasks get completed is bad. We know it will be scary at first, but encouraging your employees to experiment and fail and learn and grow is important. And, with the right boundaries in place, you’ll quickly learn to trust your team more. One of the most important things you can do in modern business is show your team the big picture. Teach them why you make the decisions you do, what your goals are, what your goals look like, and what walking in your shoes feels like. Teach them about the limitations you have to adhere to and why. Basically, show them your reality. Not only will this help them better understand what their role is, they will feel more like partners, which is a great mindset to encourage. But that’s not all. When you are surrounded by a workforce that understands your point of view, you will have a team you can trust a whole lot more. Transparency is so important at every level of business, but one of its secret benefits is helping you trust your employees more. On the one hand, you aren’t always going to be in the office overlooking your staff and, on the other hand, more and more people are working remotely. That can put a niggle of doubt into any business leader’s mind. But that’s where technology can help. If you’re worried about people not working the hours they invoice you for, try adopting one of these 7 time clocks for small businesses. If you want to make sure remote workers aren’t procrastinating on your time, use TimeDoctor to show you their internet usage. Or, if you are concerned some people aren’t as dedicated as others, use Trello to designate certain tasks to certain people on a system whereby everyone can see who is responsible for what and where they are with their tasks. With this comes transparency, and with that comes trust (we don’t know why we wrote that like it was something you would read in a fortune cookie). Nothing is more damaging than hiring the wrong manager, which is why you need to make sure you hire those that share the same vision as you and the same way of building trust with your employees. Then, once you have the right managers in place, make sure you hand them the autonomy they want and need to run their team. The dream is to have managers in place that can steer the ship in your absence so that you can have a business that works for you and not the other way around. You want managers that are better than you at inspiring their teams and, when you find these people, you will naturally begin trusting them. When you run a business, it’s only natural to feel immensely protective of it. That’s why it’s normal to have feelings of distrust. The trick is to counter these feelings with the right business moves.